Building a client experience is your best opportunity to create a level of differentiation that others will be challenged to duplicate. The client experience starts from the moment a prospect comes in contact with you all the way through to the point at which they’ve become an advocate for you and referring others to you. Interestingly enough, the place where a lot of businesses fall down in the area of client experience is when the actual buy occurs. 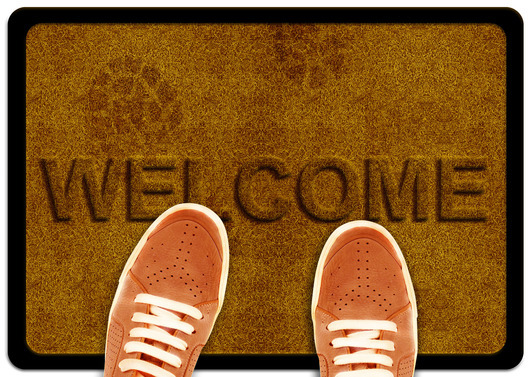 Give new clients a warm welcome into your business. The process of becoming a customer is often one that needs work. Think about how you orient a new customer into your business and how you teach them to work with you. So let’s consider the 5 items that should be part of your new client welcome kit as you receive them into your business. 1. Send a welcome card or letter. Sending a welcome letter can help to reinforce the prospects decision to do business with you and only takes a moment to send out. 2. Create an orientation checklist. Give your new customer a checklist of items to help them prepare for their experience with you. Tell them what to expect from you and reiterate the details on what you’re expecting from them. You could even include an FAQ (frequently asked questions) form along with the checklist. 3. Create a new customer kit. This kit might include the orientation checklist mentioned above and maybe you add in some reading resources as well to arm that new client with all the knowledge they need. Maybe the kit includes some supplemental reading, maybe it includes some snacks or beverages that map to the product or service you’re providing. Think about including some directions on how to get the most out of working with you. 4. Include a copy of an e-book or How To… white paper. You know what topics are of interest to your customers, so be sure to include something here that is relevant to the problem the customer is trying to solve. This, again, will reinforce that they made the right decision in hiring your firm. 5. Quickstart Form. This is ideal for gaining some additional information about the client up-front that can help you orient yourself and the client to your new endeavor together or help to create automated accounts, etc. With this form, you can also collect some information you’ll use later in your engagement to further enhance the client experience. A new client welcome kit is the perfect way to reaffirm a client’s decision to hire you. Taking some time to pay attention to these details helps to build you and your brand and enhance your credibility. Nobody talks about boring businesses. Create an experience to remember and you’ll give them something to talk about. High Tech vs. High Touch Communication - How Do I Decide Which to Use?